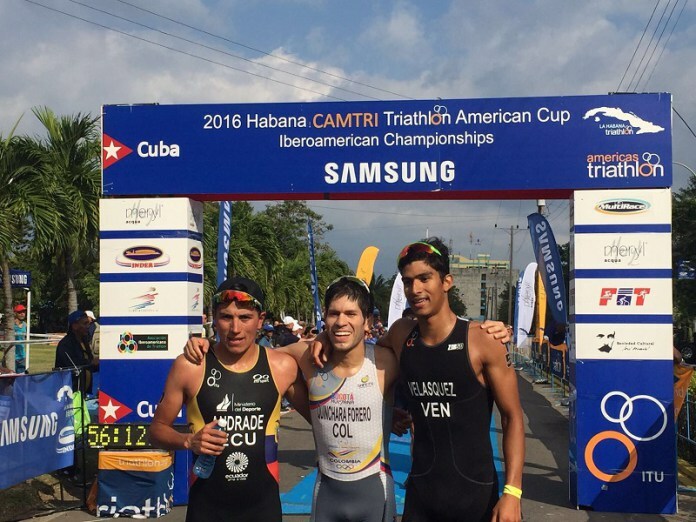 Spain’s Camila Alonso and Colombia’s Carlos Javier Quinchara were crowned the 2016 Iberoamerican Champions under a sunny St. Valentine’s Sunday in Habana’s Marina Hemingway. Quinchara, a 2012 Olympian, achieved his first win of the season after a 54:40-minute effort over the sprint distance. 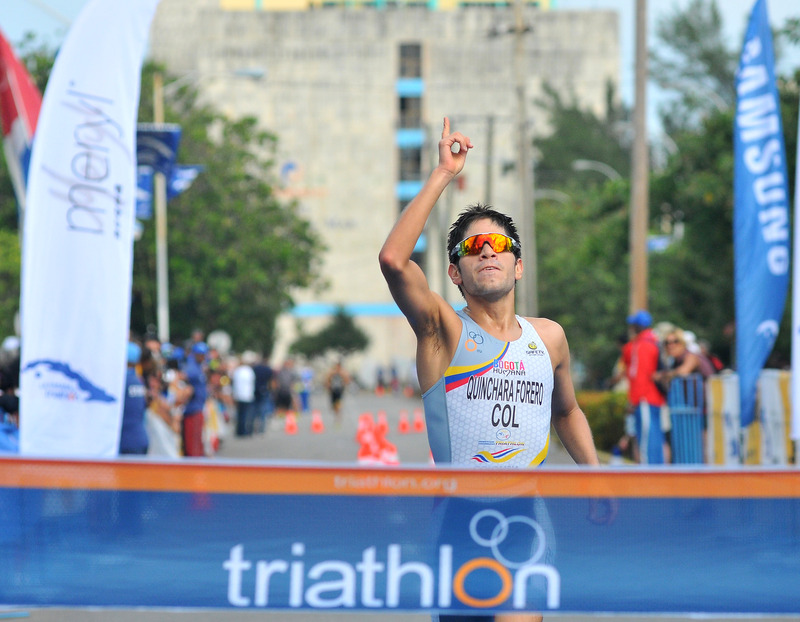 Ecuador’s Juan Jose Andrade and Venezuela’s Luis Miguel Velasquez completed a South American podium. The three battled during the bike, but Quinchara and Andrade soon left the young Velasquez when they left the transition area. 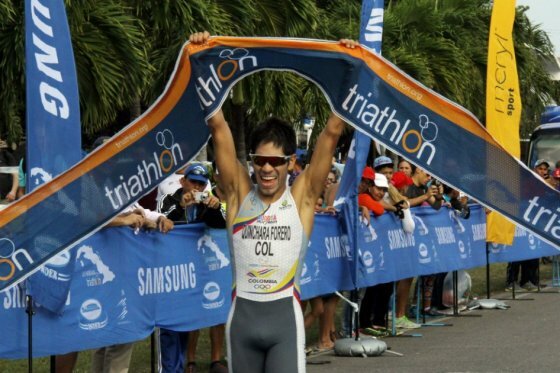 They both ran side by side until the last kilometre, when the Colombian found an extra gear to claim another international title to his career. 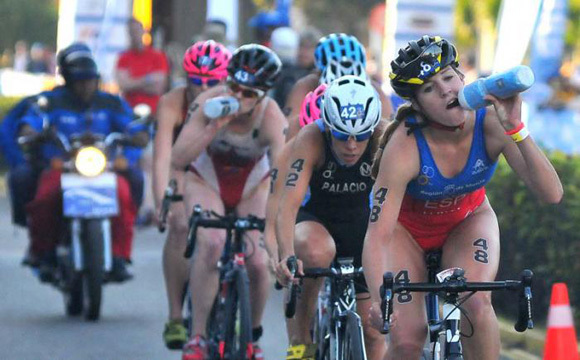 The trio set the stage for a South American podium early in the bike after Velasquez led the 35-men field out of the water in just under 8:30 minutes. They formed a solid trio on the bike and increased their lead progressively to over a minute over the 20-strong chasing pack. “I loved racing here. It was a well-organized event. The swim was fast and we three worked well on the bike to gain a good lead for the run. I found an extra speed to beat Juan Jose and achieve the win on my first trip to Cuba. I really enjoyed the warmth of the Cuban people and the landscape in Habana. The main goal this year is the Olympic Games in Rio. I need to earn more points to compete in the World Cup circuit,” said Quinchara, who will race again in Playa Hermosa, Costa Rica, in two weeks. 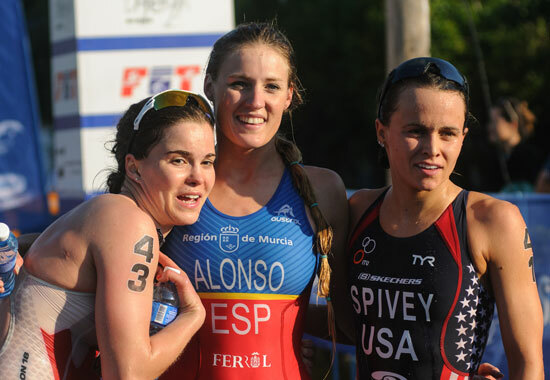 In the women’s race, Alonso also enjoyed success in the latter stages of the race as she launched a sprint finish to beat Canada’s Alexandra Coates and USA’s early swim leader Taylor Spivey. Spivey and fellow American Julie Stupp led the 750m canal swim at the Marina Hemingway, but were soon caught up on the bike by a group that included Coates, Argentina’s Romina Palacio, Costa Rica’s Alia Cardinale, Cuba’s Leslie Amat and another American, Molly Higgins. Amat suffered a puncture and the lead group shrank to six as they entered T2 with a comfortable advantage over the chase pack. Palacio’s 10-second penalty took her out of contention for the medals and Spivey, Alonso and Coates moved to the front before reaching the halfway mark in the run. Alonso’s kick on the home stretch found no response and she crossed the finish line in 1:01:40 hours, two seconds ahead of Coates. Spivey finished third another seven seconds adrift. “My swim was okay and I had to work hard to join the lead group on the bike. Romina, Alexandra and I took turns and managed the catch the leaders. I felt great on the run and realized I had a chance to win the race in the second half. I saw the finish line and gave it my all until the end. It was a great boost early in the season, especially after a flat tire two weeks ago in Mexico. I will continue to train and hope to race a few World Cup events this year,” said Alonso. She had a special St. Valentine’s present with her boyfriend Luis Miguel Velasquez finishing third. She will race next in Quarteira, Portugal in April. 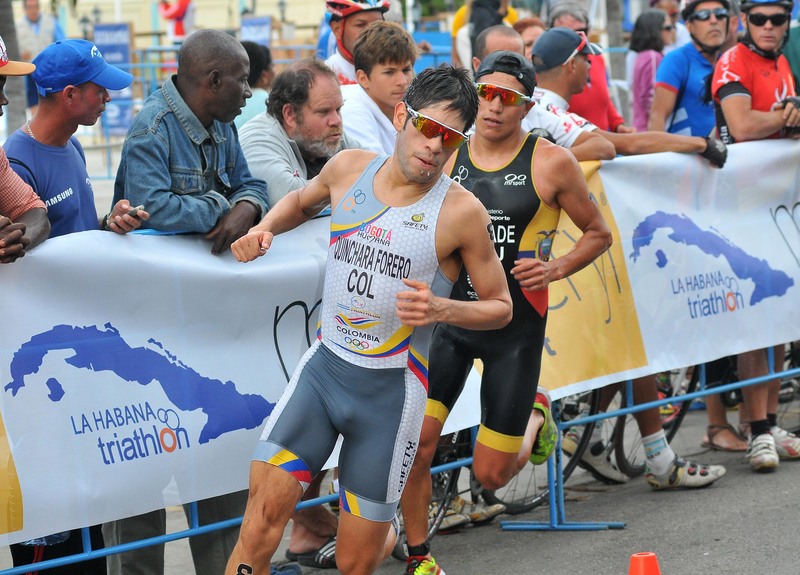 The Iberoamerican Championships was also contested over the middle distance (1.9km swim, 90km bike and 21.1km run). Spain’s Gustavo Rodriguez and USA’s Ellen Hart crossed the finished line first.